It is a pleasure to welcome you to our new Fulbright Greece E-NEWS, which we hope will keep you up to date on our activities, programs, and people. In today’s society beset by immense challenges—economic, social, cultural—education continues to retain its essential role in confronting difficulties and providing new expressions of hope. Why Greece? Greece is a gateway to cultural, academic, and professional exchange.The Fulbright Awards Program offers scholarships for academic research and/or lecturing in diverse disciplines at a number of educational, cultural and research organizations in Greece. Fulbright is much more than a scholarship. Why Greece? Greece is a gateway to cultural, academic, and professional exchange. The Fulbright Awards Program offers scholarships for academic research and/or lecturing in diverse disciplines at a number of educational, cultural and research organizations in Greece. 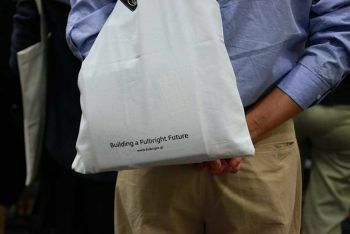 Fulbright is much more than a scholarship. We offer grantees the opportunity to have a transformative cultural and academic experience and provide unrivalled support both during and after their Fulbright year. Receiving a Fulbright Award opens doors of different shapes and sizes and provides global networking opportunities. Fulbright grants are awarded in almost every discipline, the Arts, Social Sciences and Humanities, Business and Finance, Science, Technology, Environmental Sciences, Education, Media and Government. 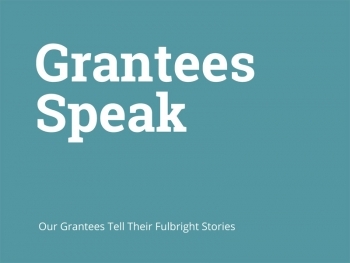 Fulbright grants for US citizens are offered every academic year. 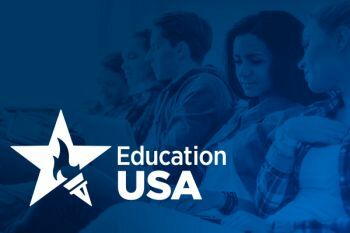 The 2020-2021 scholarships for US citizens are now open to applicants. Included are programs for Graduate Students, English Teaching Fellows, Scholars, and Dual-country grants—Bulgaria-Greece Fulbright Joint Research Award and Turkey-Greece Fulbright Joint Research Award. To find out more about the 2020-2021 US Fulbright Scholarship program to Greece click here. 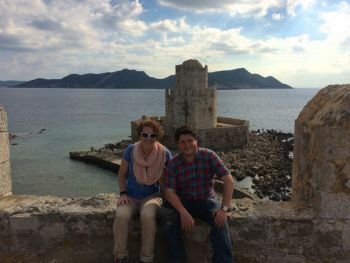 Greek and US Fulbright award recipients currently on their grant period or recently returned from their host country (U.S./Greece) talk about their Fulbright experience and share personal photos. I am in Greece this year to research renewable energy policy and development. My meetings with regulators, academics, NGOs, and businessmen have broadened my understanding of energy policy in practice. Analyzing renewable energy policy solutions for Greece has required going beyond factors such as the industry’s access to capital and the government’s stance on the environment; it has demanded diving deep into Greece’s complex economic and political challenges and examining the way that the energy sector is directly tied to the economy and politics of this country. As I step further into this political, economic and social maze, the way through it becomes ever more enticing and elusive! Life and work in Greece over the past four months has been a non-stop thrill. On the work side of things, I have managed to connect with key individuals in both the Greek Archaeological Service and the general field of Greek archaeology. Although I have had some hurdles to overcome with regard to obtaining the proper study and transport permits, I am happy to say that this process is now complete and all of my study material is now safely in the Wiener Laboratory at the American School of Classical Studies in Athens (ASCSA). It is through this process that I was able to develop a collaborative relationship with an archaeologist in the Greek Archaeological Service who has significantly helped me in my background research and practical matters. While I was waiting for my study material to become available to me, I was able to take advantage of some of the intensive educational trips offered by the ASCSA. Through these trips I was able to see many parts of Greece that I had never visited before as well as see archaeological sites and museums that are not often open to the general public. As a bioarchaeologist specializing in Mediterranean archaeology, these trips have given me a much broader and deeper appreciation for the intricacy and antiquity of Greek culture. 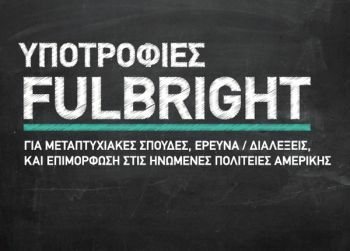 The Fulbright Foundation in Greece offers an extensive scholarship program for Greek citizens who wish to study, lecture, research or pursue professional development at an institution in the United States. All new program dates for the 2017-2018 academic year have now been announced and can be found on the Foundation's website under the Scholarships for Greek Citizens heading. Dates include registration, nomination and application cycles, interview days, and grant periods. Scholarship categories include programs for Secondary School Educators, Graduate Students, Student Leaders, Artists, and Visiting Scholars. Since last year, we have introduced the new award for Doctoral Dissertation Research Students and this year we are excited to announce a new award for an artist's residency at the Santa Fe Art Insitute in New Mexico! Carefully review all grant details, eligibility requirements, benefits, and terms and conditions before enquiry or registration/application. Dr. Joseph Bock, a US Fulbright Specialist to Greece, was recently awarded a grant to work with and assist the Municipality of Athens (Mayor's office) on developing a plan to better handle and respond to the influx of irregular migrants and refugees. 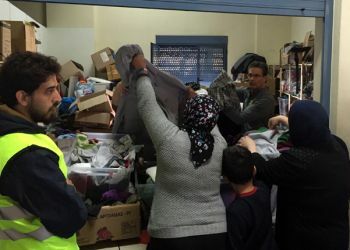 Dr. Joseph Bock, a US Fulbright Specialist to Greece, was recently awarded a grant to work with and assist the Municipality of Athens (Mayor's office) on developing a plan to better handle and respond to the influx of irregular migrants and refugees. Dr. Bock is Director, PhD in International Conflict Management Program and Associate Professor in the Department of Political Science & International Affairs at Kennesaw State University near Atlanta, Georgia. This is a great example of Fulbright's relevance in sharing knowledge to address immediate challenges facing the world today. Dr. Bock worked with the Municipality of Athens and its Refugee Committee. During Phase I of his time in Athens, Dr. Bock worked as one of a team of three to develop a plan on how the City can respond and prepare for future migrant and refugee arrivals. The plan laid out an overall strategy with which to address the crisis, recommended an organizational structure, and made suggestions about how to maintain security while also addressing humanitarian needs. The plan identified challenges especially related to "irregular migrants" who are neither likely to apply nor be granted political asylum. He also visited the island of Lesvos to witness the challenges facing incoming migrants and refugees. During Phase II, Dr. Bock researched various options being considered by the Municipality. He investigated how microenterprise development could help alleviate joblessness. He explored ways the City can put to use its vacant buildings. He engaged with people both within Athens and elsewhere in Europe on how to use the digital mapping platform, Crowdmap, to prevent violence against and by migrants and refugees and to optimize the use of humanitarian aid. Moreover, he developed a concept paper on how Athens can use its international visibility due to the migrant/refugee crisis to raise venture capital for economic development. Dr. Bock also spent time in Port of Piraeus where he spoke with incoming migrants and refugees who just arrived from Greek islands. He involved his students and a fellow faculty member at Kennesaw State University to research how to develop a system using crowdsourcing to enhance early identification of migrants and refugees at sea who are in distress. Dr. Bock's humanitarian work has included directing Catholic Relief Services' programs in Pakistan and Jerusalem/West Bank/Gaza Strip, and overseeing programs in Bosnia, Croatia, Guinea, Iraq, Kosovo, Liberia, Macedonia, Montenegro, Pakistan, Rwanda, Serbia, Sierra Leone, Thailand, and Uganda while serving as Vice President at American Refugee Committee. Dr. Bock has been a consultant on violence prevention with the World Bank and a consultant with The Asia Foundation on conflict management and democratic governance, providing support in Thailand, Nepal, and Sri Lanka. He has authored or co-authored articles in various peer-reviewed journals including Political Geography, Information Technology for Development, Journal of Peace Research, Journal of Information Technology & Politics, and Journal of Refugee Studies. He is the author of three books. His most recent, The Technology of Non-Violence: Social Media and Violence Prevention, was published by MIT Press in 2012. The publication is a comprehensive guide for students interested in programs of study at American Universities and Colleges. 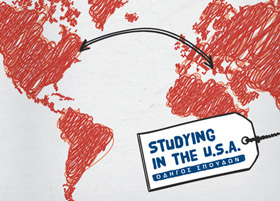 Studying in the U.S.A. - Οδηγός Σπουδών is written in Greek and is a free publication. 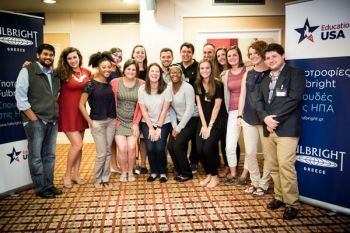 As it has for two decades, Fulbright Greece hosted its 21st US University Fair in Athens, at the Crowne Plaza Hotel, on October 5, 2015. More than 500 students, parents, high school and university counselors attended. The Fair offers prospective students the unique opportunity to meet US university representatives and Fulbright advisors, to inquire about graduate and undergraduate degree programs, admission requirements, program deadlines, campus life at each institution, and to learn about Fulbright scholarships and standardized admission tests. The event is free, open to the public, and is held every October. 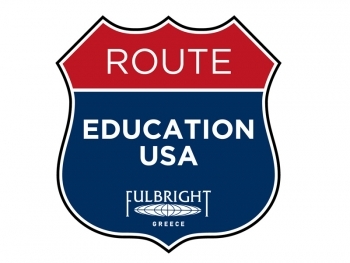 Fulbright Greece offers Group Advising Sessions on US Studies, both undergraduate and graduate, on a regular basis. Sessions lasts for about one hour and a half and are offerered free of charge. Preliminary registration is required. To ensure all interested students have access to the latest information on studies and scholarships, the Fulbright Advising Team offers free undergraduate and graduate group advising sessions monthly at our offices in Athens. For students who cannot attend our Athens meetings, ask about our Skype sessions. To view current and future Group Advising sessions on US studies and to register click here. 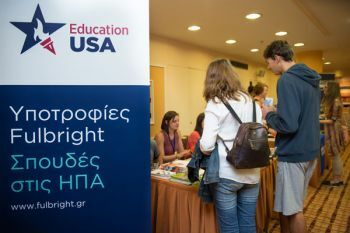 Every year, from October to May, Fulbright travels to universities and public schools throughout Greece, where students, teachers, scholars and artists may learn about study options in the United States and Fulbright scholarships. To keep up with Fulbright on the road, follow us on Facebook, Twitter and YouTube. For academic year 2016-2017 the Foundation launched a new grant category for Greek citizens: the Doctoral Dissertation Visiting Research Students grant. Every fall the Fulbright Foundation Greece convenes a Train the Trainers Meeting for educators. Most participants are alumni from different Fulbright scholarship programs. Kozani, a town of roughly 50,000 residents and capital of the prefecture of Western Macedonia in Northern Greece, was chosen as a location for the annual Train the Trainers series of events that took place on October 17, 2015. Despite its small site, Kozani is home to a number of higher educational institutes, including the Polytechnic School of the University of Western Macedonia and the Technological Institute of Western Macedonia, creating a lively “student buzz” in the town’s daily life. Greece’s economic crisis has affected the region of Kozani especially hard, creating high unemployment and above-average levels of depression. The Train the Trainers Meeting purposely focused on this pressing topic, that was raised during the previous year’s meeting: how can counselors, who have not been trained as psychologists, and a decreased number of teachers, deal with a spike in mental health problems? On the agenda were subjects such as parental involvement, special education, psychodynamic counseling, avoidance behavior, and strength development through positive psychology. To gain more insight, and better results, additional speakers were invited, primarily Visiting Scholars, that included academics in the field of education and American Studies. Among them, who we were pleased to welcome as guest of honor, was US Fulbright Specialist at the University of Ioannina, Department of Primary Education, Dr. Beatrice Brigdlall. Dr. Brigdlall is Chair - Advisory Board for Student Success in Higher Education in New Jersey; Faculty Affiliate – New York University – East China Normal University, Institute for Social Development, NYU Shanghai. Her field of research is Special Education and Educational Psychology. The Train the Trainers Meeting always proves to be an inspiring and encouraging event, where alumni have the opportunity to proactively use their Fulbright experience in follow-up projects with their students. 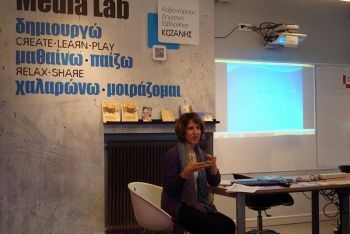 Dr. Eleftheria Gonida, Associate Professor of Educational Psychology and Human Development at the Aristotle University of Thessaloniki, delivered a lecture to participants on Motivation in Education: School and Family Influences. And, taking full advantage of this Fulbright On The Road outreach trip, our Greek Program Coordinator gave a presentation on the Fulbright Scholarship Program to students at the University of Western Macedonia, Department of Mechanical Engineering at the invitation of Fulbright alumnus Associate Professor Georgios Marnellos and the following day visited Thessaloniki, to meet with recently returned Fulbright alumni, at the U.S. Consulate. 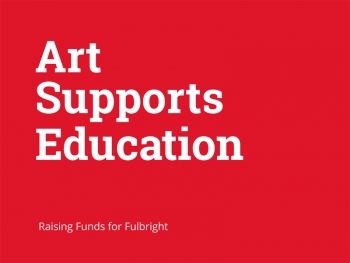 The “Art Supports Education–Fulbright Alumni Art Series” is an initiative that began in 2009. In recognition of the fundamental role of education, Fulbright artist alumni graciously donate their works in support of the Fulbright Scholarship Program. 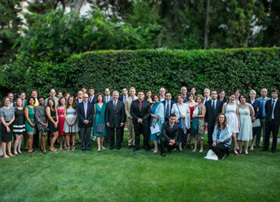 The “Art Supports Education – Fulbright Alumni Art Series” program, was implemented with the support of the Bureau of Educational and Cultural Affairs of the US Department of State, and the US Embassy in Athens. The first series of works was presented in January 2011 in Athens, at the Benaki Museum’s Pireos Street Annex and December 2011 in Thessaloniki, at the Excelsior Hotel. The second series was presented March 2016 at Salon de Bricolage in Athens. The goal of the “Art Supports Education – Fulbright Alumni Art Series” program is to demonstrate that art supports education, just as education supports art. Thus, Fulbright artists reciprocate the opportunity they were given, by contributing with their works to support the Scholarship Program. The Foundation invites you to support the Fulbright Scholarship Program by acquiring a work of art from the Fulbright Alumni Art Series. All proceeds will benefit the Fulbright Scholarship Program. In recognition of the fundamental role of education, Fulbright alumni artists donate their works in support of the Fulbright Scholarship Program. We look forward to include as many alumni artists as possible, to date, participating Fulbright alumni artists include: Erieta Attali, Dora Economou, Efi Chalikopoulou, Fotis Flevotomos, Elias Kafouros, Diane Katsiaficas, Zoe Keramea, Apostolos Kilessopoulos, Sia Kyriakakos, Ioannis Michalou(di)s, Eleni Mylonas, Dimitris Papaioannou + Marilena Stafylidou, Lambros Papanikolatos, Vangelis Pliarides, Loukia Richards, Fotis Sagonas, Antonis Theodoridis, Giorgios Tzinoudis, Costas Varotsos, Nikolas Ventourakis, Adonis Volanakis , Kristina Williamson, Zafos Xagoraris, Yiorgis Yerolymbos, Sotos Zachariadis, Theodoros Zafeiropoulos. All works can be viewed on the online catalogues.